In one of the articles about you, it was described that Papermoon Puppet Theatre was inspired after watching a German puppet company perform Shakespeare? 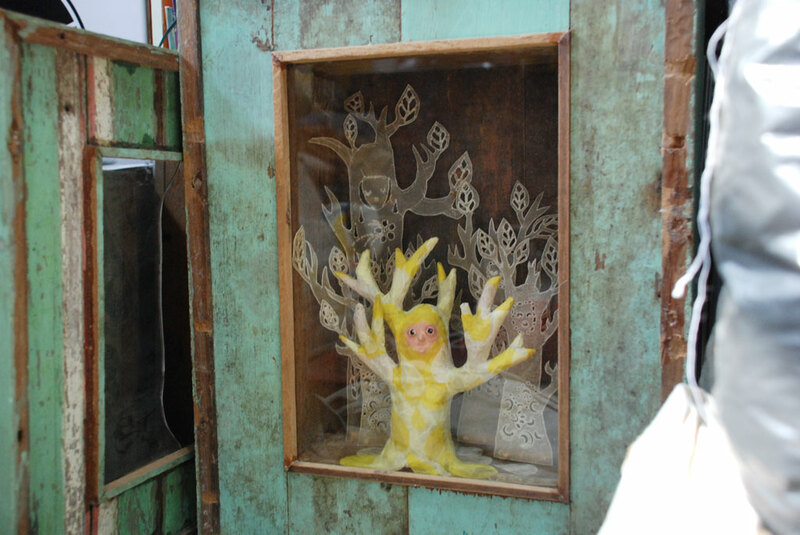 Actually, Papermoon Puppet Theatre has already been established by that point, but this puppet company inspired us to create performances for adults as well as children. 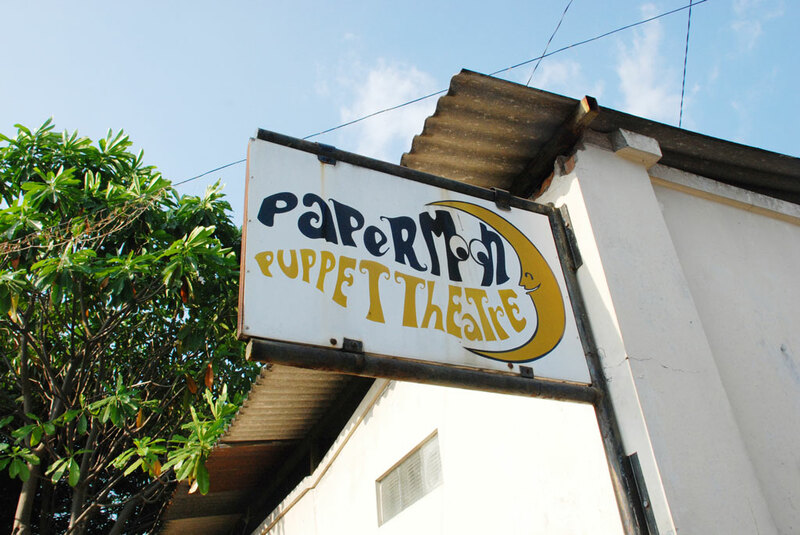 Oh okay, so what was the original goal of Papermoon Puppet Theatre when it was first established? Our goal stemmed from our dissatisfaction with art education for children, that is how it first started on April 2nd, 2006. We first started with workshops and plays for kids. Around a month after we started, Yogyakarta was hit by an earthquake, which immediately changed the direction of our company. 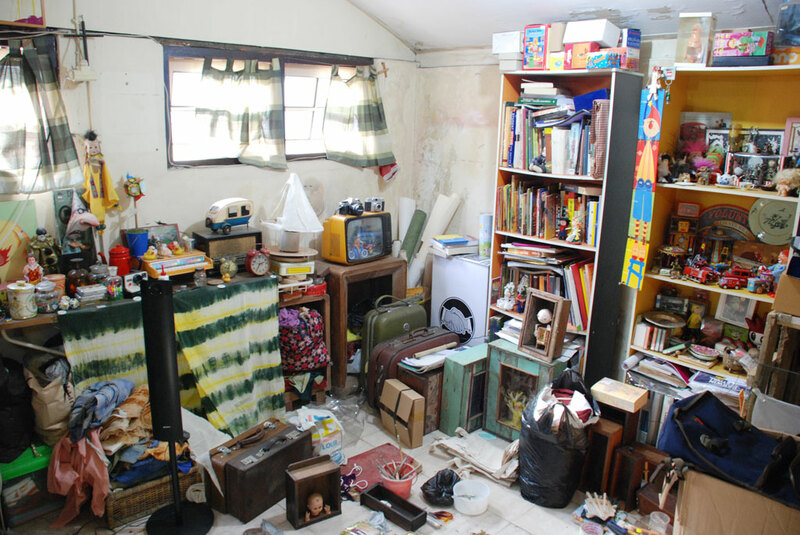 We decided to make programs aimed at children in villages who were affected by the disaster. 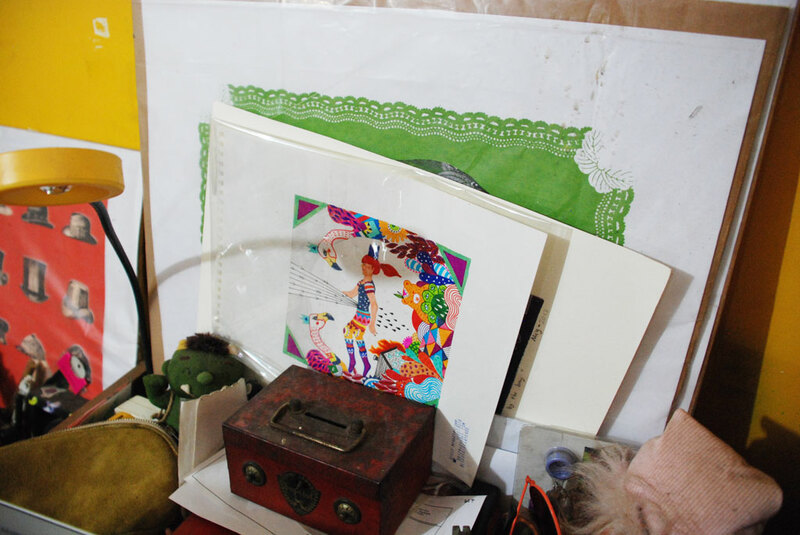 It was an intense experience we did daily, and we began questioning what we really wanted to do with Papermoon. During this period of dilemma we saw the German puppet theatre, which gave us inspiration. And what exactly did you see that influenced you? What did you get from the performance? Until that point, we have never seen a puppet company performance for adults, that’s certain. It was solemn, it was gloomy, very theatrical – it really was an eye opener and made us think “we can do this with our puppet theatre!” It changed our perceptions of puppetry, and we believed that we had to take this next step, we had to try. After having this epiphany, what did Papermoon do? How did you adapt this inspiration to your performances in Indonesia? Well, I believe it was quite daring on our part to try and create a mature play as, to our knowledge, we were the first in Indonesia to do so. We just went for it, really. Immediately targeting a 17+ audience, we made a play that was very sexual and also addressed political issues. 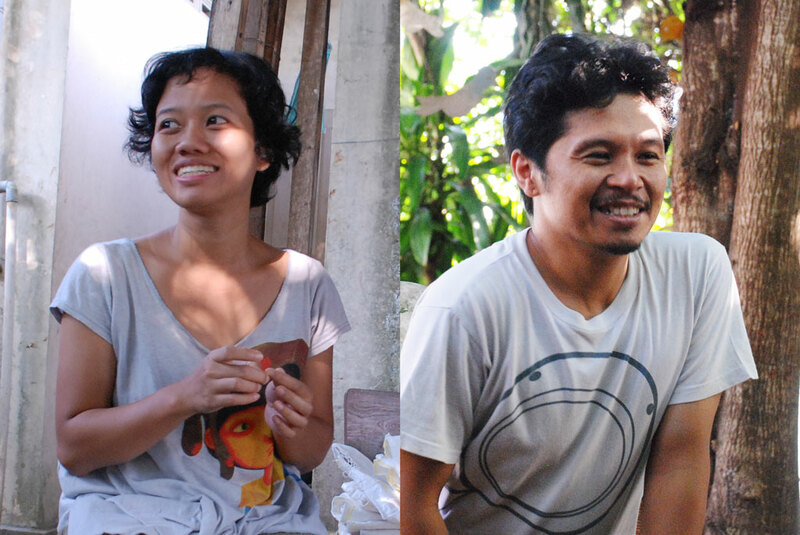 The script was written by our friend who’s a theatre director (Joned Suryatmoko). This was Noda Lelaki di Dada Mona (A Man’s Stain on Mona’s Chest)? Yes. We did all the production and promotion ourselves, even the funding. We were still hesitant to look for sponsors because this has never been done and we didn’t know what the response would be like. It was a big risk, but we decided to gamble. We didn’t know who was going to watch the performance, or if anybody would even want to watch it. To our surprise it was a sold out show. The public was curious; they wanted to know what the play was about, and who the people behind the play were. It was very positive, and a comment that we repeatedly heard was that it was an experience that the Indonesian audience has never come across before. We found a freedom of ideas and expression during the making of this play and we became addicted to creating them. Your plays’ subjects, and this is very much based on your watching the Mwathirika production, is quite personal – dealing with personal relationships and tragedies. The theme of your works, though, takes place during historical events – Mwathirika during the 1965 sweep of Indonesian Communists, for example. Why did you decide to address these events? [Iwan] Regarding the theme of Mwathirika, we actually decided to use this theme during our stay in New York. 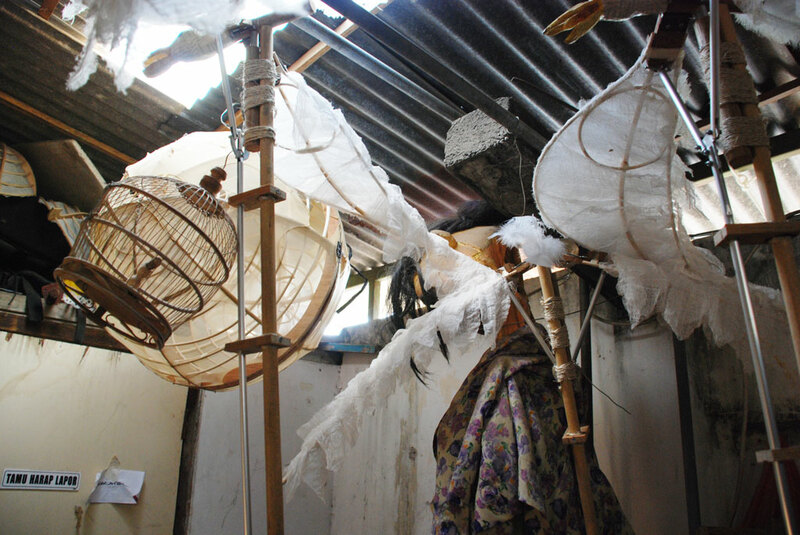 During our residency there, we learned how puppet theatres could become a medium to describe many forms of ideas. 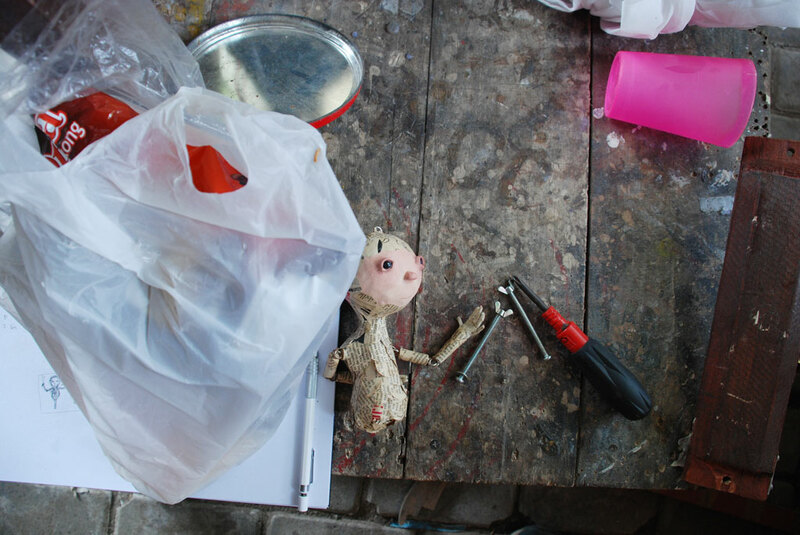 We met over 70 artists from different puppet theatres – from Marxist puppet artists to Sesame Street artists – that was when we had this sort of enlightenment regarding storytelling. So we were about to return to Indonesia, and we discussed what we were going to do back home. What were we going to do with the knowledge we gained during our stay in New York? Back then I [Iwan] was very interested in the historical issues that occurred in 1965. 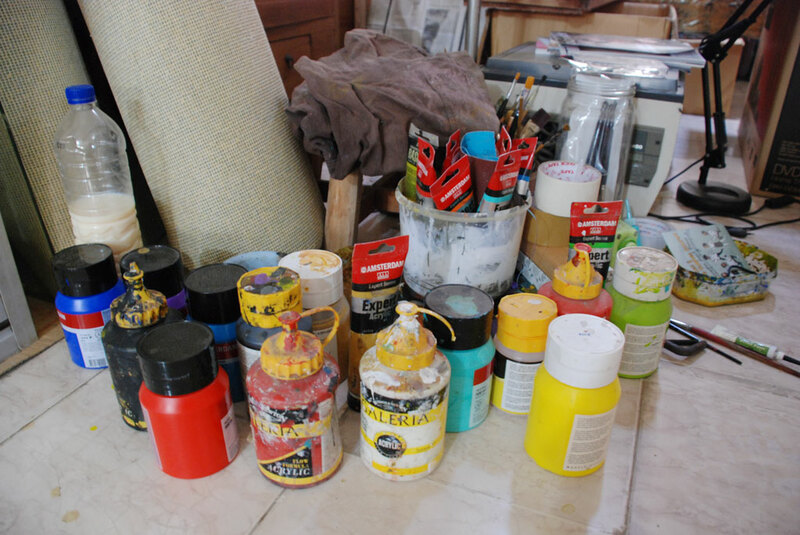 I have been interested in the subject since about 2005, when I along with a group of other artists were invited to a workshop regarding those events. Doing this workshop it occurred to me that learning about 1965 the pieces of a puzzle started to fall into place, so to speak. My grandfather, who was a puppet master, was one of the many captured by the government in that era. He was imprisoned for 13 years. Yes. My understanding of this event history relates to my own family, that is why Mwathirika addresses its impact on a family. Normally when one talks about history, the focal point are the major events that occurred and they are often times simplified into data – how many people were killed, etc. What we saw as the most important aspect, and one that is often overlooked, is the family relationships during these events. The family structure; father, mother, son and daughters; they were destroyed by these events, which directly affects the next generation. That is why we wanted to talk about these issues. You mentioned that during your residency in New York you got an enlightenment of sorts regarding puppetry. What exactly did you learn? We learned about all facets of puppetry, but what really stood out was the idea, the brains behind the puppet theatres. Why did Jim Henson create Sesame Street? Why did Basil Twist create giant spiders for Halloween? What interested us was what inspired them to create, and it made us think about how we can translate our own ideas through our work. 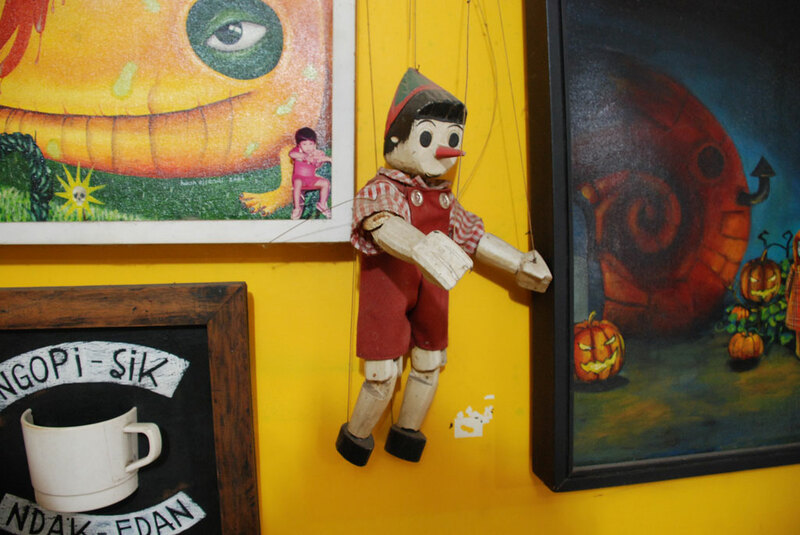 In a Huffington Post article about you, art was described as a “tool for cultural diplomacy.” How do you think your own puppet theatre works as a communication tool? What do you want your audience to get out of your performances? The biggest advantage we see doing puppetry is our ability to surprise the audience. When one sees a Papermoon Puppet Theatre performance they won’t know what the puppets will look like, what technique of puppetry we will use, etc. Plays and dance theatres have their own strengths, but one can always assume that the talent will be people, and that already bases the performances on reality. The audience can never guess what a puppet performance will be like, they are very open and anticipate any surprises we might have in store for them. Would you say it is like watching animation? As in because we know it isn’t human the stories and characters can defy logic and it would make sense in the context of a cartoon. And what do you want the audience to get out of your production? In regards to Mwathirika and Secangkir Kopi Dari Playa, we wanted to create plays based on these specific historical moments. When we were in production, we already had a target audience in mind which was young adults and younger, particularly those who has never heard of the events that happened in September 1965. Our project is one aiming to build a process of awareness. History is exactly that — history. It is in the past, and what we can do is build awareness because we cannot solve the problems of the past. Aside from the historical events we present, we really want to keep spreading this puppet theatre “virus” (laughs). We’re not only a theatre troupe, we also create exhibitions, festivals, workshops. We want to build awareness regarding puppetry. We feel that we can communicate a great deal of ideas through this medium. Why did you decide to create the Pesta Boneka puppet festival, is there not enough awareness regarding puppetry in Indonesia? It’s really about education. We, as artists, want to keep doing our craft for the rest of our lives and would like to see other artists perform this craft. We want to sit in the audience’s seat and also see puppet performances. We have been very lucky to have seen so many different kinds of plays abroad, and our friends at home should be able to see them as well so why not invite these performers to Indonesia. 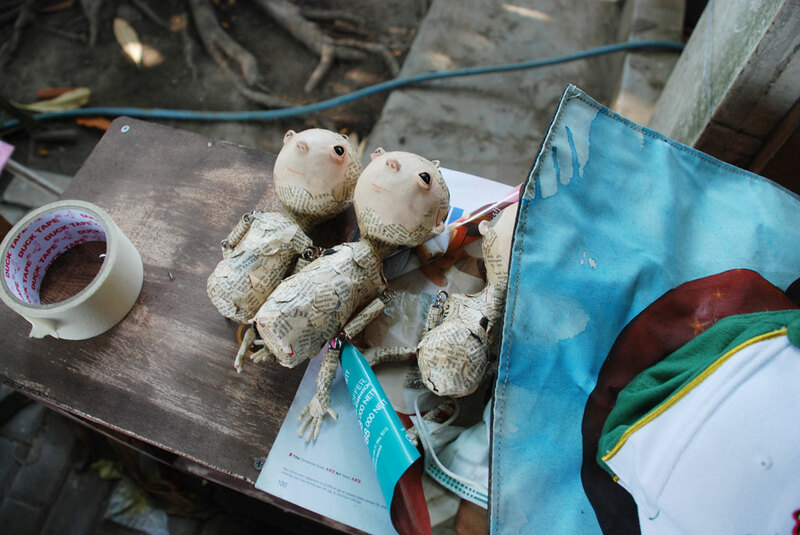 We also want to educate the local puppeteers, audience, and ourselves, of course. It is a celebration of puppets. 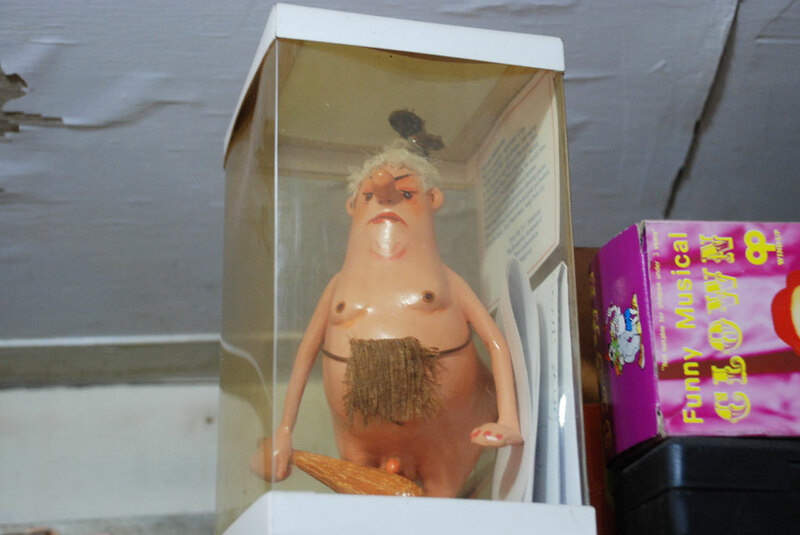 Speaking of that, are there more puppet theatres like yours now? Up to this point it is still only us (laughs). People come to us and say, “Hey, may I join your troupe?” Most people do not know how to start a puppet theatre, so we thought – instead of joining our theatre, why don’t we help them start their own? We are working on creating a program where we can help guide artists who are interested in creating their own puppet production. 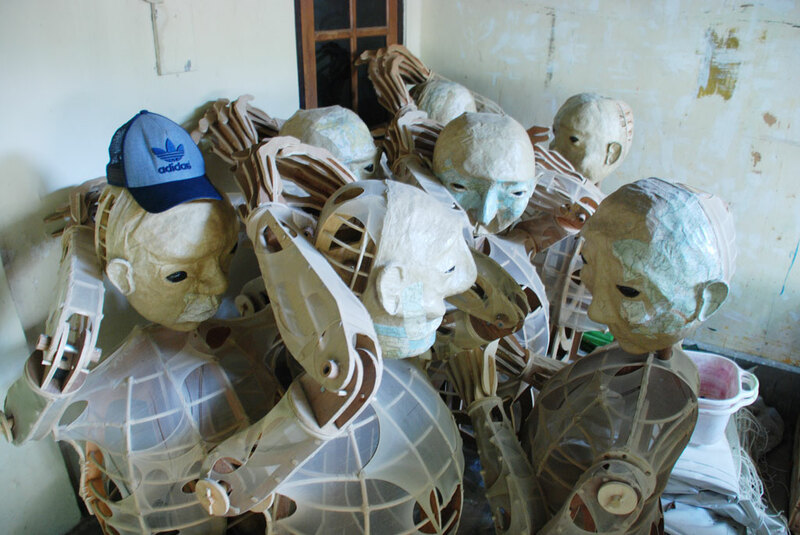 We hope to be able to start next year, and have their work performed in the next Pesta Boneka. Based on your experience travelling and observing art in many different countries. 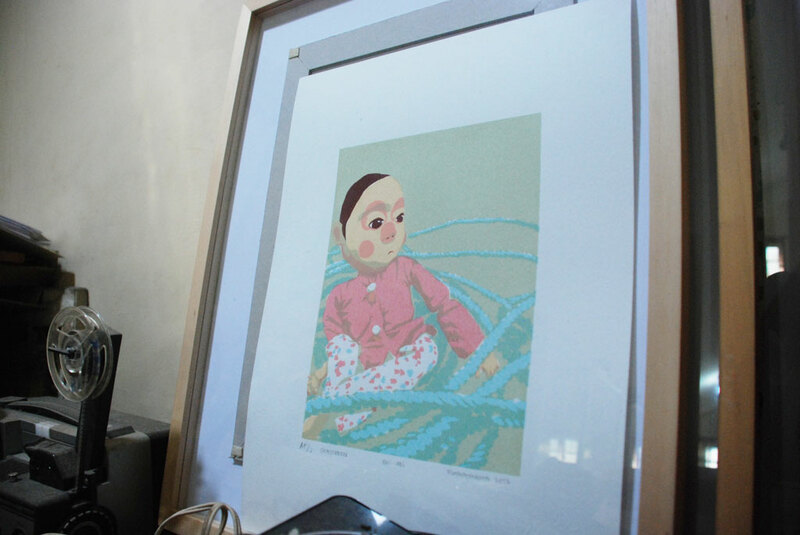 Where is Indonesian art in the world? First of all, art can go abroad because of the government’s support – K-Pop can make a global impact because the Korean government has a vision to spread its pop culture. Also, many artists live off government grants, because the country understands that its population has a need for art. Indonesia has grants and culture-based programs, but they always go towards tourism. 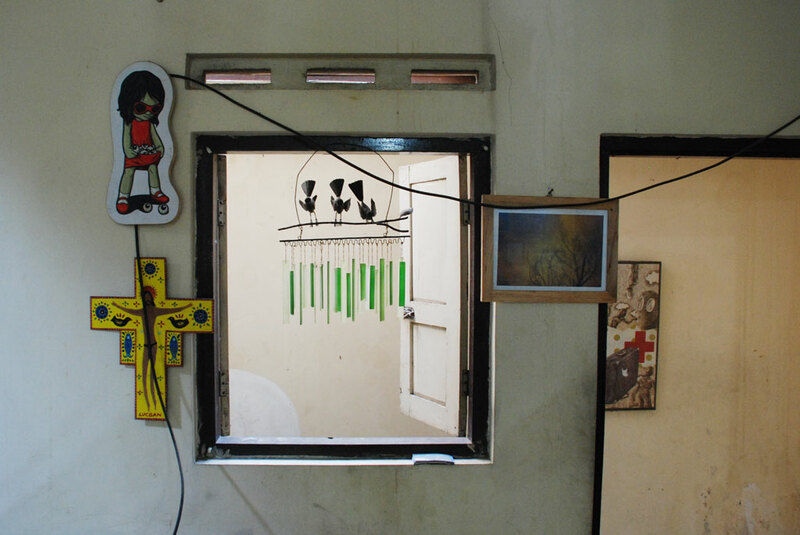 There are so many different types of art in Indonesia, it is sad that they do not get support as well – especially contemporary art. There is so much talent in the Indonesian contemporary art scene, it is an endless resource of amazing art that gets overlooked. But on a positive note, because we aren’t spoiled, artists here are forced to be creative in using the available resources. We get support from fellow artists, from our community. Looking at our situation, if the government gave us a bit of support we could only imagine how great art in Indonesia will be. 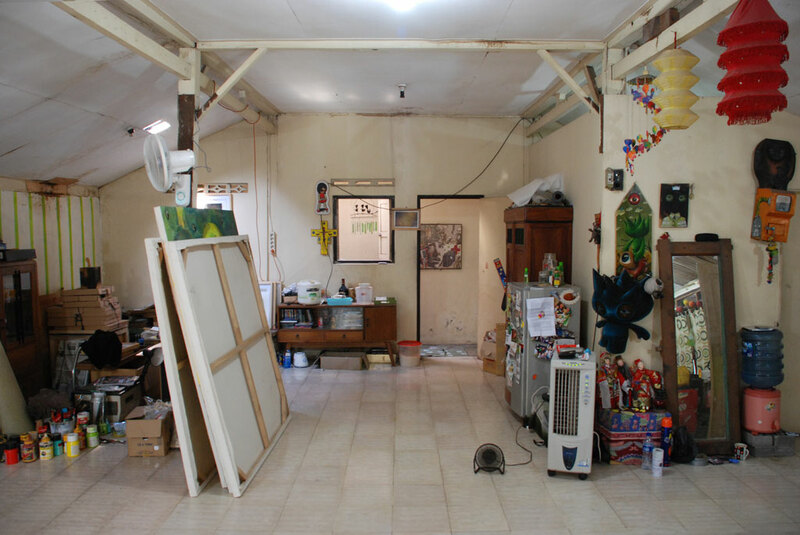 What do you want the government to do to support the arts in Indonesia? There was a comment made by an official from Yogyakarta’s Cultural Center that made my jaw drop. He said something along the lines of “Yes, the government has grants for artists, but contemporary artists can write proposals, right? So why should we support you?” – What a crazy statement. Who is going to support these artists? We are lucky there are grants from private institutions that allow us to go abroad to share our art and learn theirs. 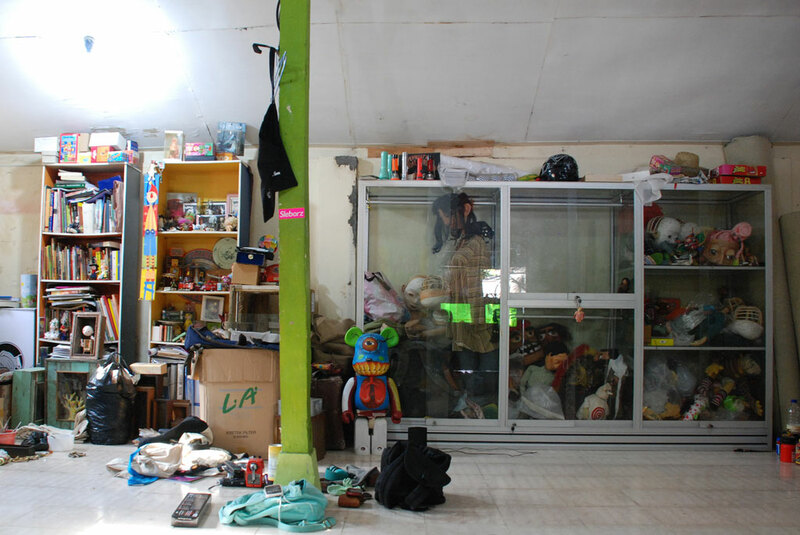 Perhaps there are grants for artists in Indonesia, but there is no transparency so we don’t know how to get them. Would you say that it has improved over the years? It seems so. Some of our friends are becoming involved with government programs. We ourselves are trying to get government support, particularly for the next puppet festival. 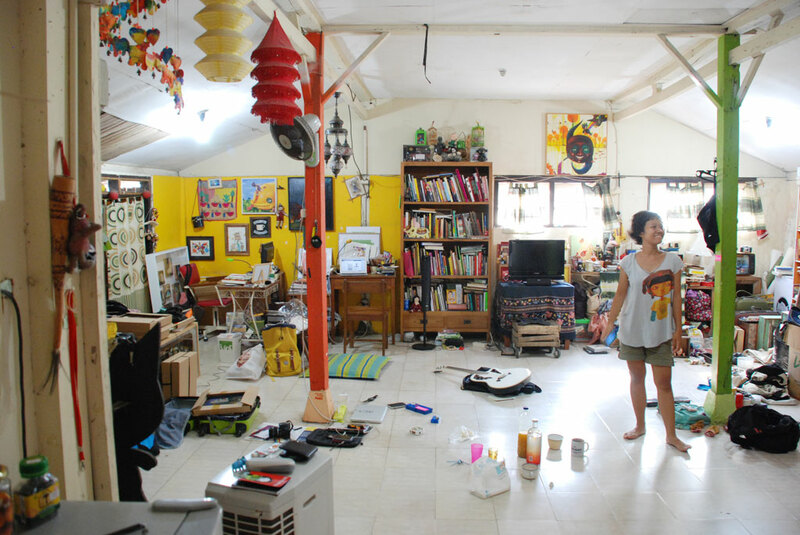 We once talked about the Indonesian art scenes needing to be more united and move simultaneously? How would you say it is like here? 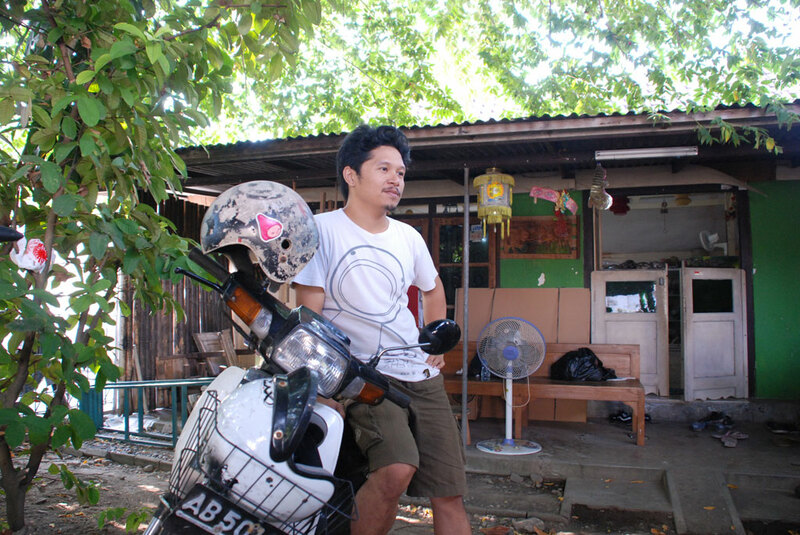 When speaking about Indonesian art we will see that each city has their own artistic character. 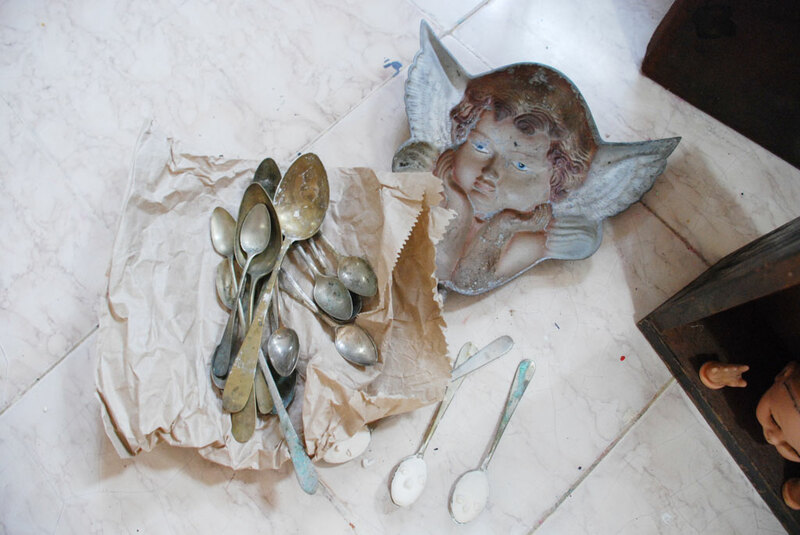 And to be honest, I don’t believe I have the authority to say what Indonesia’s art movement is like in its entirety. Usually we would mention only the major cities such Jakarta, Bandung and Yogyakarta – and those are only cities in Java. We need to sort of change the mindset that Java is not Indonesia. Again, I cannot say whether or not Indonesia’s art scene is united, but there these cities definitely influence each other. Personally, I enjoy observing the youth cultures when travelling, seeing how they survive, their interaction with their communities – it’s all quite inspiring to our own work. The internet really helps in building awareness, it’s a small window for people to see many things. We can now be aware that our lives aren’t just limited to our home, our neighborhood, our city. 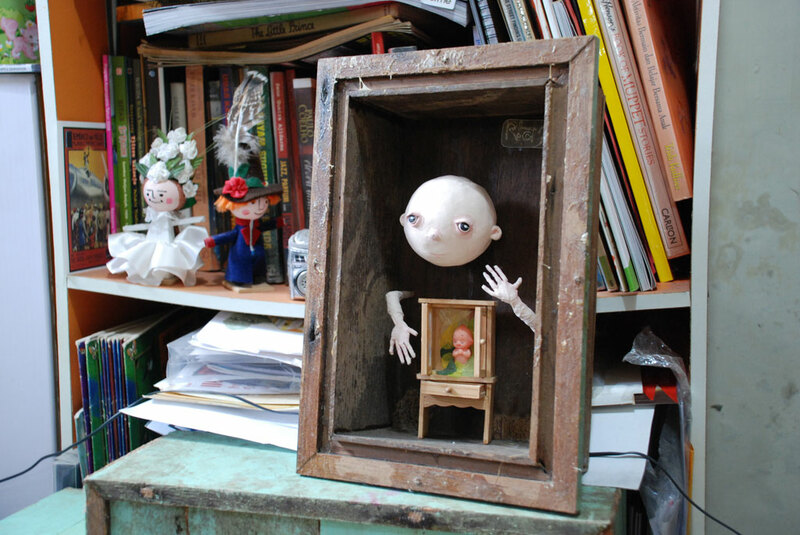 Wrapping it up, what should we be expecting from Papermoon Puppet Theatre? What are your goals? 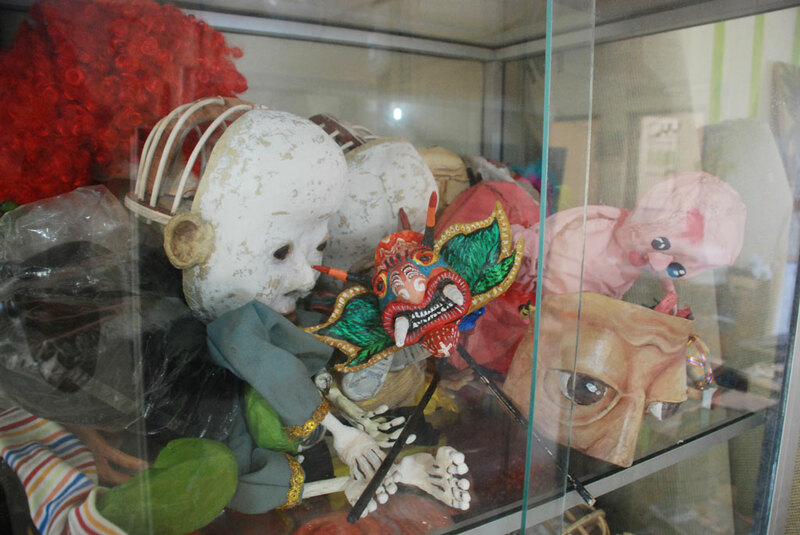 We want to have a contemporary puppet theatre museum. We really want to create a museum (laughs). It still feels like a dream, but we want to build a place dedicated to puppet performances. 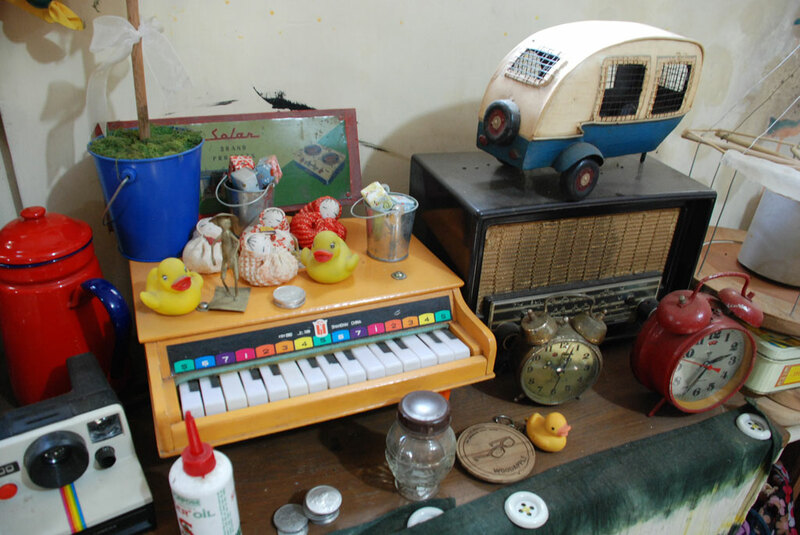 A museum where we would display our collection, perhaps starting with Papermoon’s puppets, and then objects related to puppetry what we have gathered during our travels. Who knows, perhaps in the future we can build a school too, wouldn’t that be nice? So yeah, that is the dream. Thank you so much for the interview, is there anything else you would like to talk about before we wrap this up? Firstly, we could never have imagined that there is a job like this. We never thought that this was what we would be doing with our lives. If you were to ask us what we wanted to do when we grew up, we would say “stay at home and get paid to travel” – that is absurd, but look, it actually happened (laughs). The point is, we have to be able to dream, and also to work hard to be able to make those dreams real.